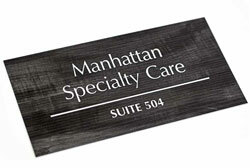 Wood tone suite room signs and office door plates are a professional way to brand your business. Include your company logo, company name, website, suite number or any text you need at no additional cost. These custom office signs are available in a variety of wood tone acrylics ranging from cool grey with white text to a warm teak with ivory ash colored text. 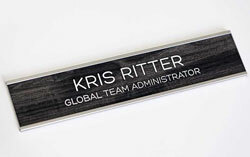 All personalized information is laser engraved for a crisp, clean look. Create the perfect office lobby signs, office door plates, or conference room signs. 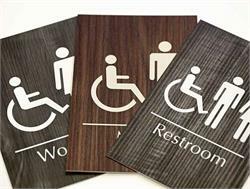 Signs are 1/16" thick and available in a variety of sizes. 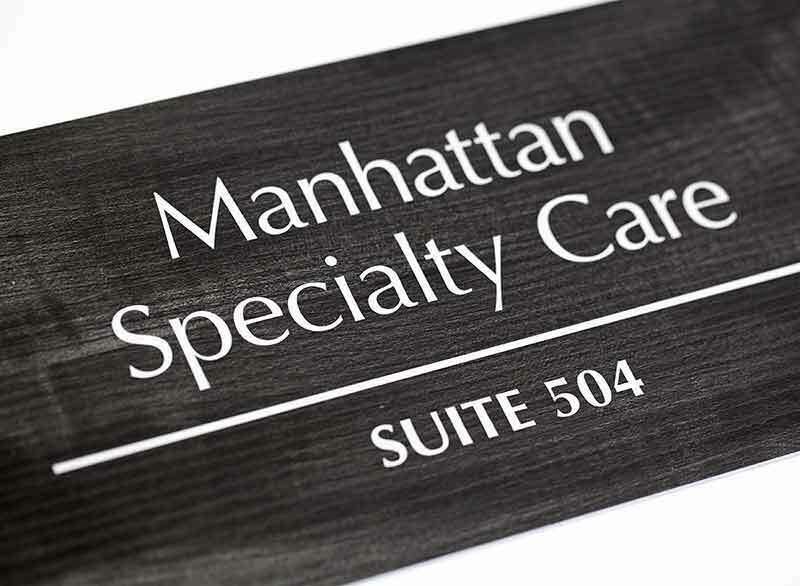 If you require a size not listed on this product, contact our customer service team at service@officesigncompany.com or via phone at (701) 526-3835 with all of your details for pricing on a custom size. 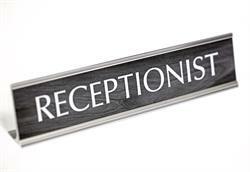 Personalize your sign - Indicate line breaks using slashes (/), include punctuation if so desired and indicate BLANK if no text. 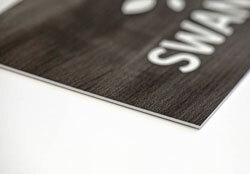 If sending a logo, please note that in the special instructions below.